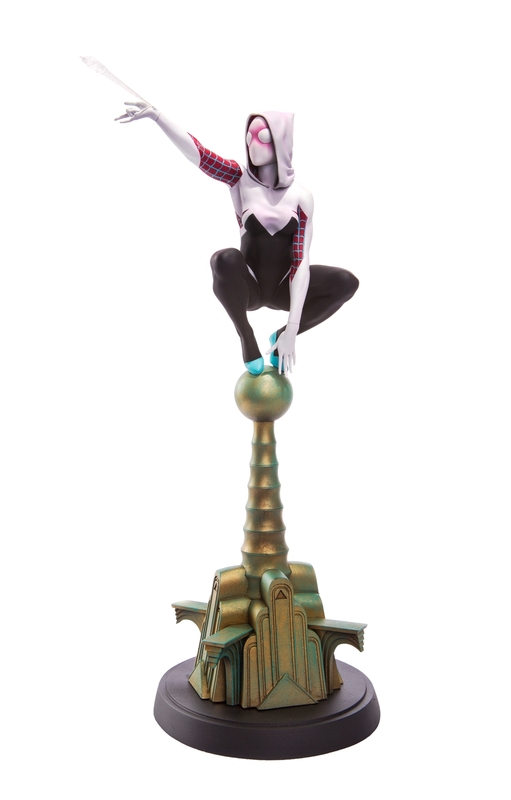 Product Description: Based on Phantom City Creative’s gorgeous art print, this statue shows Spider-Gwen (aka Spider-Woman, aka Gwen Stacey) either spending a quiet moment perched atop a high-rise building taking a selfie after a day of being a hero, OR slinging a web to swing into action! 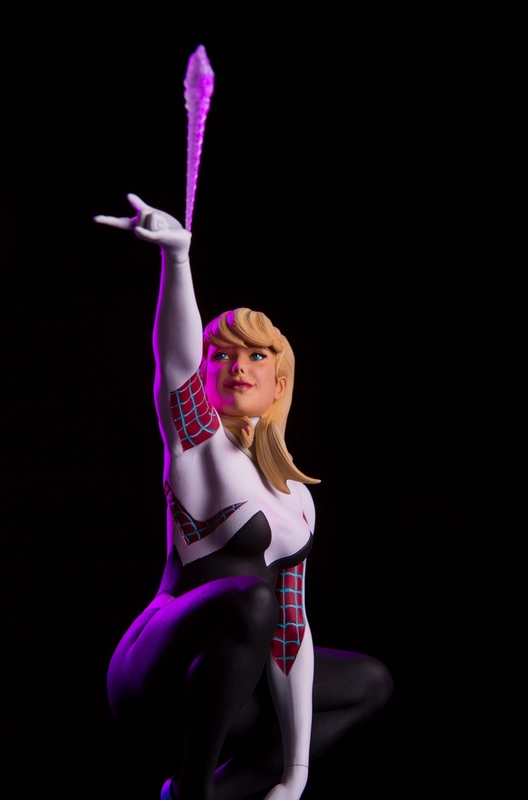 It’s your choice, as she comes with interchangeable web-shooting and selfie hands! 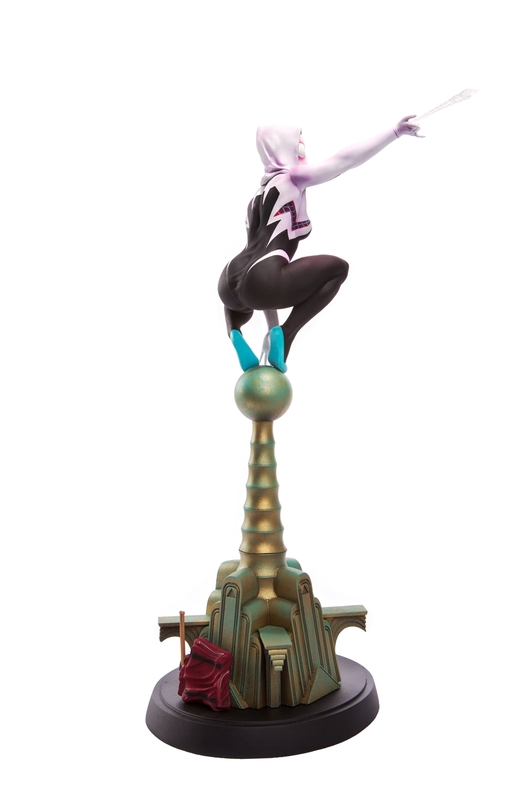 Product Description: Based on Phantom City Creative’s gorgeous art print, this statue shows Spider-Gwen ( aka Spider-Woman, aka Gwen Stacey) either spending a quite moment perched atop a high-rise building, taking a selfie after a day of being a hero, OR slinging a web to swing into action! 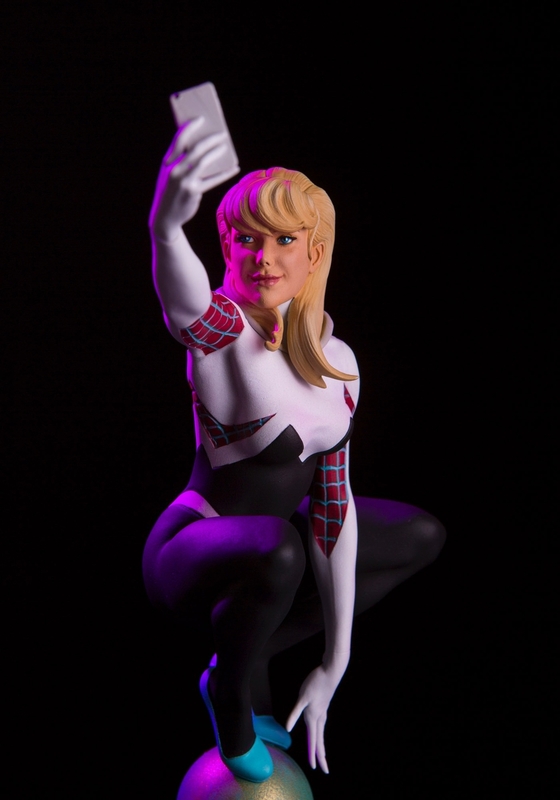 It’s your choice, as she comes with interchangeable web-shooting and selfie hands! Be sure to check out Screen Rant for details on the posters. 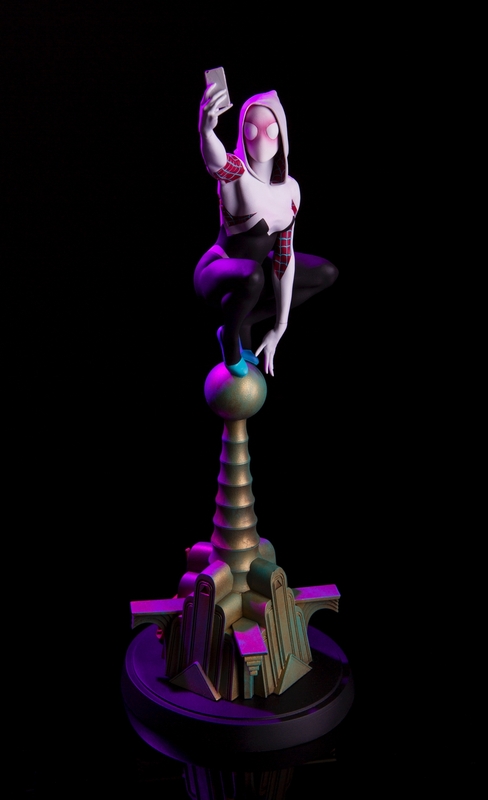 there’s two versions being made available! 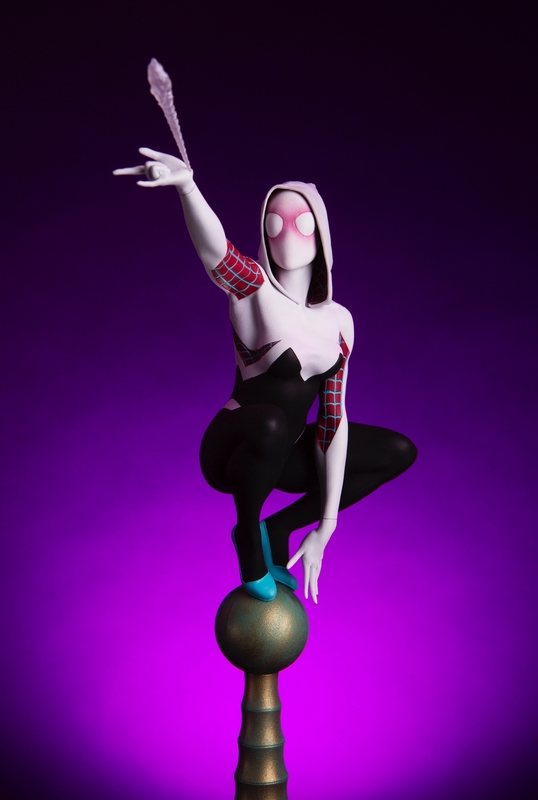 Read on for pics of the Spider-Gwen Statues. 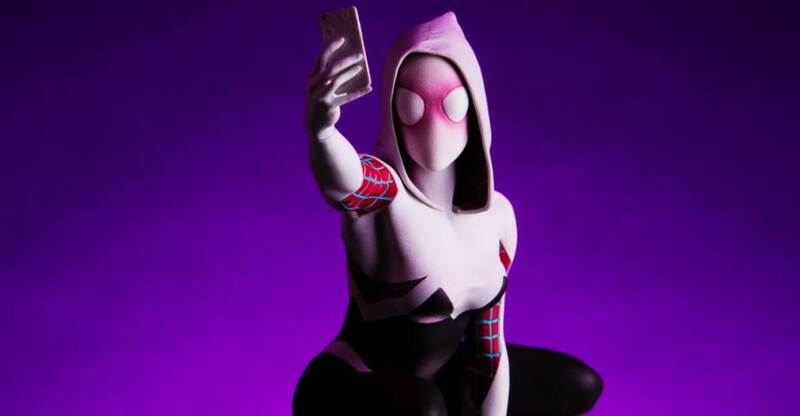 What's with all these teen girl superheroes taking selfies!? Back in my day, if you were a vigilante you stuck to the shadows, you didn't facetweet or instabook about it for the whole dad-gummed world to see!!! 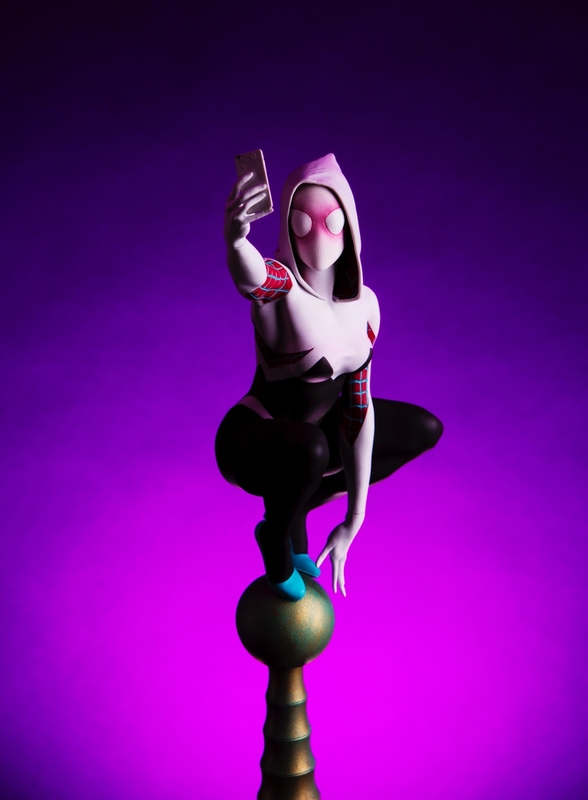 I get that she's a spunky teen who plays in a band, but I'm glad that selfie hand can be swapped out.